You may wish to share professional interests and contact details via your QMplus profile. Managing your email notifications and other contact details. Uploading an image to represent yourself. On Landing Page click on the picture Icon next your name OR go to Dashboard and click on “Profile”. This will take you to your ‘Profile page’ . Under ‘SETTINGS ‘click Edit Profile. If you can’t see Edit Profile then click on My profile settings. 2. You may wish to change settings related to your email visibility, receiving emails, forum subscriptions & forum tracking. 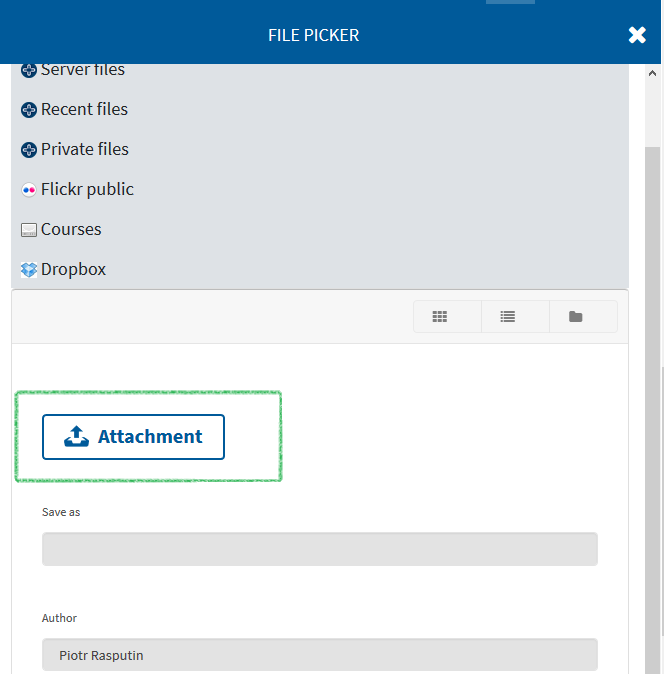 Scroll down the page to USER PICTURE and either click on the ‘add file’ icon or drag the file into the drag and drop area. 2. Choose your profile photo file and click UPLOAD THIS FILE. Add your professional interests as ‘tags’. Add any other contact details useful for other QMplus users. Scroll down and click UPDATE PROFILE. 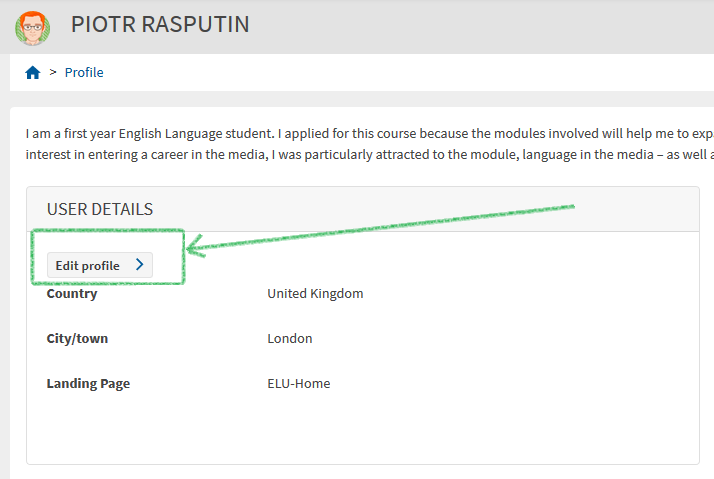 Tip: If you view your profile and click on a tag you will be linked to other users with similar interests. Editing your profile in ‘Groups and Portfolios’ to connect with students and staff.